Offering you a complete choice of products which include water suction and discharge rubber hose is 3549 and hot water rubber hose. 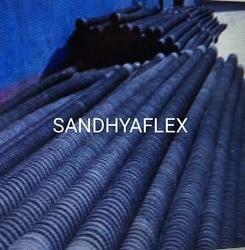 Sandhya Enterprises manufacturer and Supplier of Water Suction and Discharge Rubber Hose. Size:1" ID to 12" ID .Length 1Mtr ot 15Mtr.Fitting : Both End MS Flange as per ASA 150#.Working Pressure 10kg/cm2 to 25kg/cm2. Sandhya Enterprises AN ISO 9001:2015 Certisfied Company. 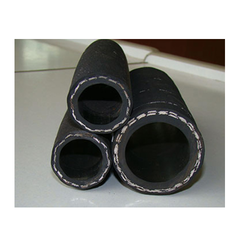 Manufacturer and Supplier of Water Suction and Discharge Rubber Hose as per IS:3549 Specification. size :1" ID to 12" ID.Working Pressuer 10 to 25kg/cm2.Lenght -1mtr Min and 15Mtr max.With Both End MS Flange. 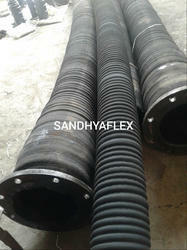 Looking for Water Suction and Discharge Rubber Hose ?